Work With A Winner In The Payment Processing Industry That Will Lower Your Rates, And Offer Value Added Services To Increase Your Profits! Costs, And Increase Profits While Allowing You To Focus On Your Business! Seeing Is Believing! Or As The Saying Goes, The Proof Is In The Pudding! Merchant Services America offers multiple payments solutions to make it easier for your customers to do business with you. Whether you want to accept checks, credit cards, debit cards, gift cards, we have you covered with industry leading products and the highest security standards. It’s not just great pricing and great customer service that counts, but the VALUE ADDED SERVICES you get! We can handle ALL of your payment processing needs! Click “More” below! Are your current and potential customers walking past your store to visit your competitor? You’d be surprised! Why not have an ATM, and process under one of the largest ATM Networks in America? An ATM offers extra income, attracts NEW customers, INCREASES the amount of money spent in your business, AND keeps your customers loyal. The more convenient payment options your business offers customers, the BETTER! Click “More” below! What security features does your current processor provide? We provide the industry leading security solution to all our merchants, TransArmor, GUARANTEED to protect your business from a data breach! What geographic business indicators and spending statistics do you receive now that could help your business? How about easy cash advance programs? Or products to ATTRACT more customers and raise profits? Learn more about our value added services! - Receive A NEW Credit Card Terminal, POS, OR ATM FREE! - Industry Leading Data Security! - 24 x 7 Customer Service! ATTENTION Merchants! The New DURBIN ACT was just passed in Washington recently, and it should have reduced the cost of your credit card processing by 30%! Have you noticed your processing bill go down by 1/3rd since November?? We’ve discovered that many credit card processors aren’t passing along the savings, but keeping it for themselves YET STILL charging the old pricing to the merchant. How much happier would you be if could YOU save 1/3rd off your bill? 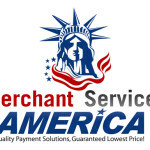 Call For A Free Quote, and see why many other business owners are switching over to Merchant Services America! If you’re looking for high quality products and services, you’ve come to the right place. At Merchant Services America we offer the best in ATM Machines, ATM Processing, POS & Credit Card Terminals, Credit Card Processing, Check Processing, Industry Leading Data Security, Gift/Loyalty Cards, Merchant Cash Advance, and MORE. We provide great rates, and great value added service. Our experienced, friendly merchant processing consultants will be there to help you every step of the way. We go the EXTRA MILE for all of our clients! Our goal is to make you a satisfied, and happy client for the long term! Give us a chance to prove ourselves and put our experience to work for you! Competitive Interchange Plus pricing, High Approval Rates, The Best Customer Service, and the Largest Global Merchant Acquirers behind us!